Since 1967, herds of nerds and techy types have made an annual migration to Las Vegas for the Consumer Electronics Show (CES) to revel in the latest gadgets and often bizarre electronic products. This year is no exception. CES kicked off on Monday, showcasing at least 250 conference sessions along with over 1,000 speakers and startups. There’s a lot to take in, but here is a handful of the coolest, most promising, and wackiest projects that have been unveiled so far. 3500 BCE: Humans invent the wheel. 2019 CE: Humans add legs to the wheels. Hyundai unveiled their new concept vehicle, called Elevate, which features articulated legs to crawl over rocky or rough terrain (image above). At the base of the legs are a set of four wheels, meaning the vehicle can also drive “like normal” too. "When a tsunami or earthquake hits, current rescue vehicles can only deliver first responders to the edge of the debris field. They have to go the rest of the way by foot. Elevate can drive to the scene and climb right over flood debris or crumbled concrete," John Suh, vice president and head of Hyundai's Center for Robotic-Augmented Design in Living Experiences, said in a statement. You might assume a toilet doesn’t need to be smart to do its job, but you’re wrong, apparently. Kohler, a company founded in 1873, has unveiled a super high-tech “intelligent toilet”. The Numi 2.0 Intelligent Toilet (above) can be synced up with Amazon Alexa to follow voice commands – presumably: “flush” – as well as “personalized cleansing and dryer functions”, a heated seat, and built-in speakers. The future, apparently, is a world dotted with bread-baking robots. 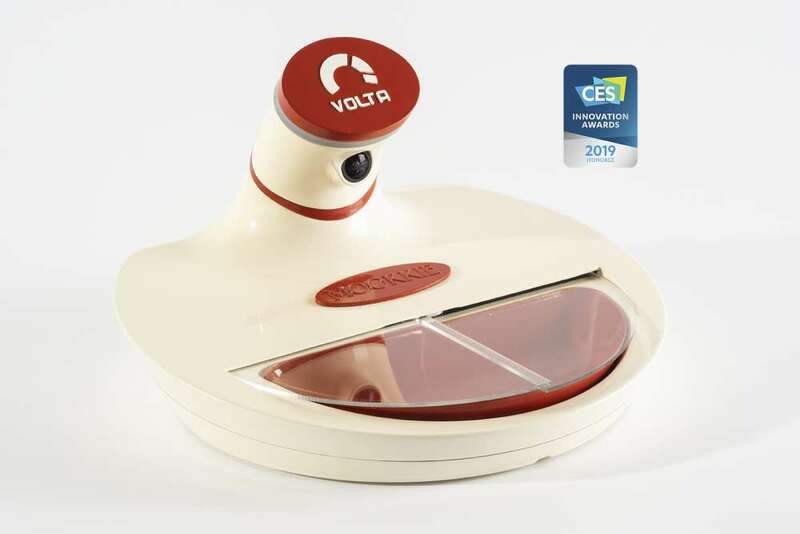 The Wilkinson Baking Company showed off their proud creation, BreadBot, at CES this week. It’s a nifty-looking machine that can mix, knead, proof, and bake a batch of dry ingredients and whip them up into a freshly baked loaf. At full capacity, it can produce an impressive 10 loaves per hour and yields a maximum of 235 loaves per day. 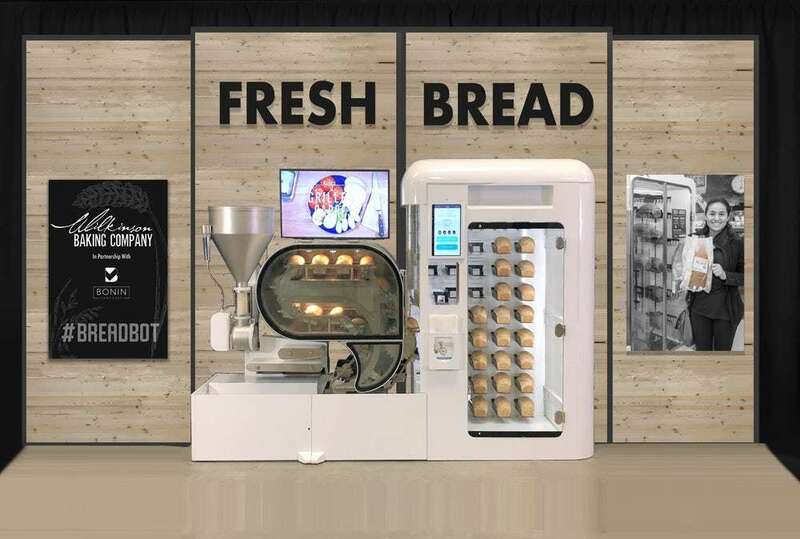 BreadBot will trial in a number of grocery stores in the US later this year, hoping to provide an alternative to mass-produced bread stuffed full of preservatives. Exosuits are no longer just the stuff of video games, even consumer electronic brands are starting to jump on the bandwagon. 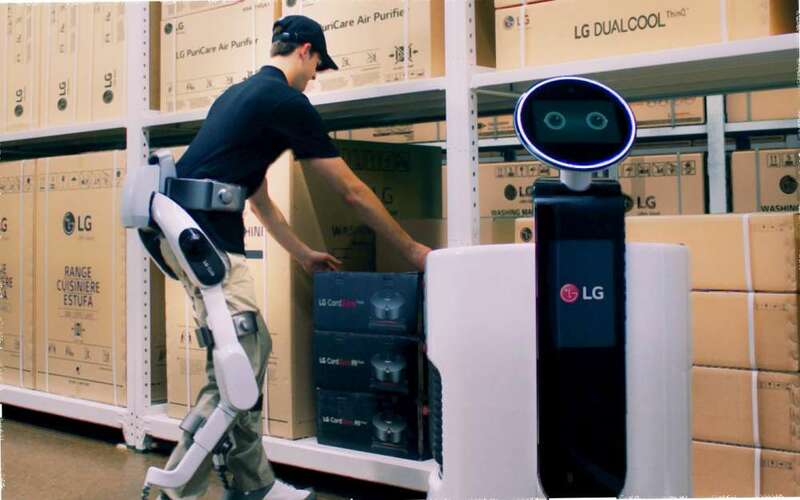 Korean electronics company LG debuted its revamped CLOi SuitBot, a wearable powered robotic aid to help people with lifting heavy objects. Charge it up for one hour and the wearer will be assisted for four hours. A number of companies have debuted smart doorbell products at CES, not least because this seemingly niche market is set to be worth $10 billion, BBC News reports. One of the biggest hitters is Ring, which was bought by Amazon last year. Among their 13 new products, Ring unveiled the Ring Door View Cam. It’s effectively an electronic peephole that allows you to see who is outside your door remotely. Not only does it respond to a ring of the doorbell, it even senses when people are knocking on the door. Best of all, it doesn’t require wiring (good news for renters who can’t drill any holes in their property) and simply uses a rechargeable battery. Don’t you just hate those damn unfoldable smartphones? Well, fear not. 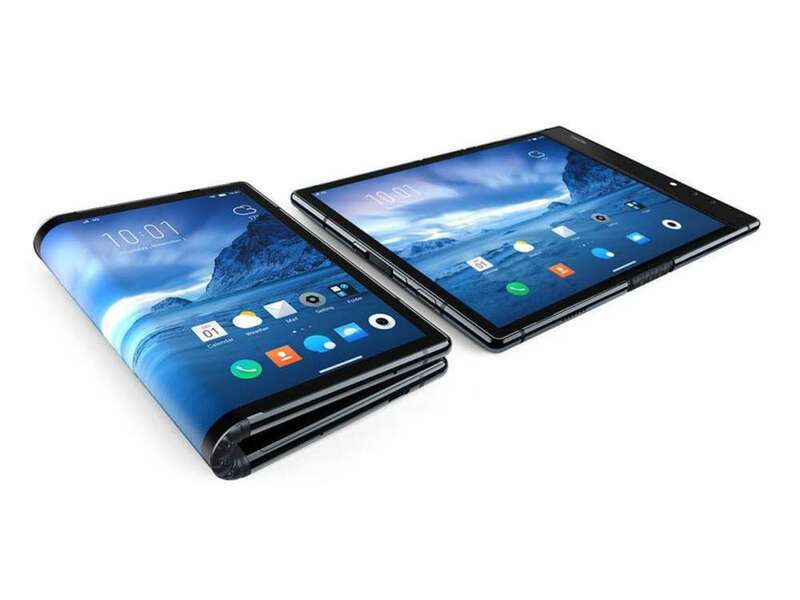 Chinese startup Royole is showcasing their latest model of FlexPai, billed "the world's first commercial foldable smartphone.” The FlexPai can be used either folded as a smartphone or unfolded like a tablet. Also, since it’s capable of folding from 0 to 180 degrees, it shouldn't snap in your back pocket or shatter in your bag. "Say goodbye to broken screens," Royole say on their website. The Precision Skincare System was revealed by Opté, allowing consumers to essentially “edit” out blemishes on their skin, whether they be age spots and acne scars or just plain old freckles. Here’s how it works, as per Gizmodo.. Scan the “wand” over your skin and it will detect the difference in coloration. It will then use a microprinter to squirt out a tiny amount of specialized serum to moisturize and fade the hyperpigmented area. Intel and Hoobox Robotics have created what they call “the world's first wheelchair controlled by facial expressions.” Armed with AI and the latest 3D Intel RealSense Depth Camera SR300, the Wheelie 7 allows people with limited movement to fully control the motion of their motorized wheelchair using simple facial commands, such as smiling, sticking your tongue out, pouting your lips, and seven other expressions. In the latest bid to make every single object WiFi enabled, behold the “smart bra”. Underwear company Soma showed off their new $59 smart bra, SOMAINNOFIT. Fear not, the bra is not intended for everyday use. It’s equipped with “exclusive new measuring technology” to provide you with an accurate bra size. It goes far beyond providing a band and cup size, it also accounts for different breast shapes. It will then send its results directly to your smartphone via an app. According to Soma, the smart bra “sold out in hours” after being revealed at CES 2019.